The facial experiences here at the Moon are just that–so much more than just skincare. You will find an atmosphere of relaxation and a caring environment, where you can come to unwind and rejuvenate your skin and soul. All facials are custom-designed based on your needs. It’s my job to pick out what would work best for your skin–not for you to read a list of services and try to pick out what you need. When you visit, we will discuss your skin’s condition, and then address those needs as much as possible. It’s also extremely important that you are using good products at home. If you’re not cleansing your skin at night, or you’re using Dial soap and no moisturizer–we can make your skin look so much better, but you have to do your part at home to achieve the healthiest, most radiant skin YOU can have. 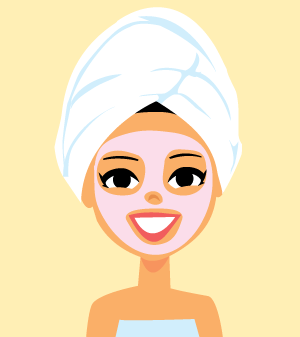 Read our article on the benefits and what to expect during a facial. So what’s a facial like? Picture yourself wrapped in a soft comfortable blanket in a dimly lit room with light music and calming water. Take a deep breath and begin to relax as I start your treatment with a deep cleansing. Feel your body drift deeper into a relaxed state as you feel warm towels on your face followed by a hand and arm massage. As you drift further I will massage your face, décolleté/chest and upper back. Your treatment mask will be applied and your legs and feet massaged. For the ladies your experience will end with a Colorescience Mineral Make-up touch-up, and for the gentlemen a light moisturizing sunscreen. Many other treatments are available. We will custom design your treatment to do what is best for you and your skin. Also, save money when you add another service the day of your facial. See our Glamorous Extras page for great services that will compliment your beautiful face. Non-toxic, non-invasive, and an affordable alternative to drugs and harsh topicals. 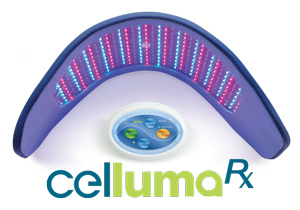 Flexible and conforms closely to the treatment area for optimal effectiveness unlike other LED devices. Designed to treat large surface areas and can be used safely anywhere on the body.